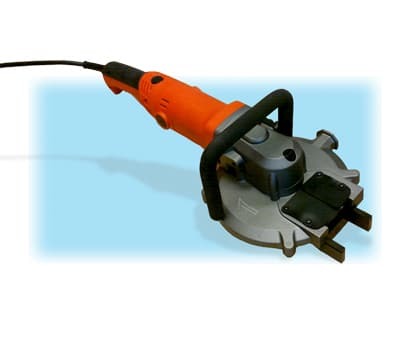 The BNCE-50 is a larger version of our BNCE-20 with a 7 inch blade for cutting larger material. 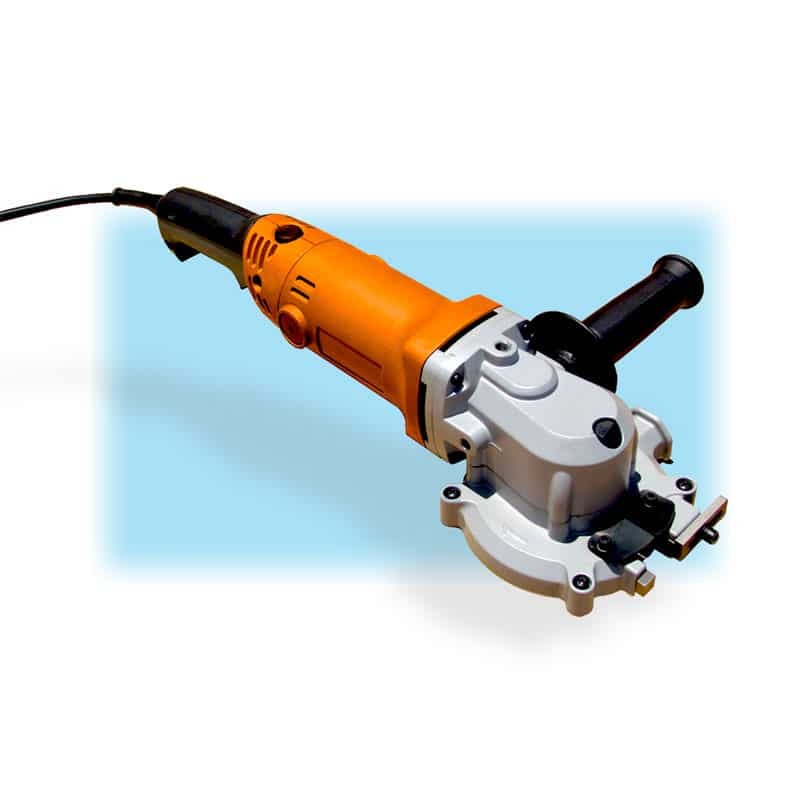 This compact and lightweight tool has a wrap-around top handle and a rotating trigger handle that provides the operator with multiple cutting positions and increased maneuverability in tight areas. The tool works great on rebar up to size #8. 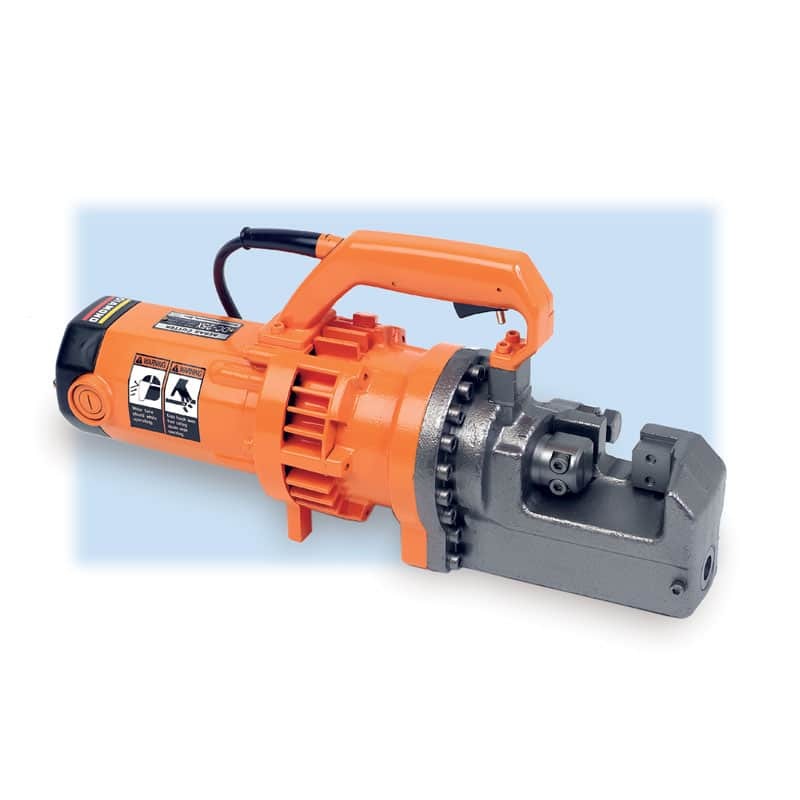 It can also cut pipe, strut, threaded rod, coil rod, tubing, and a variety of other steel material up to a diameter of 1-¾ inches. The tool comes in a blow molded plastic case and we include an extra blade plus replacement brushes for the motor with each tool. Installed on the bottom of the tool is a spring loaded material guide. A specially designed chip collection bag comes with the tool to collect steel fragments as the tool is cutting. 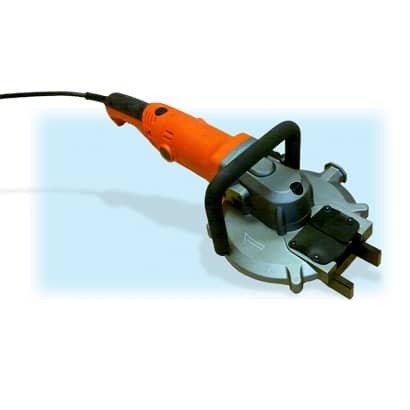 This tool has a double insulated power harness and is ETL/UL Certified & Listed. 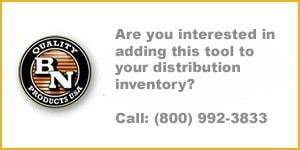 BN Products-USA provides replacement parts, Cutting Edge Blades, technical support, customer service and a network of repair centers. 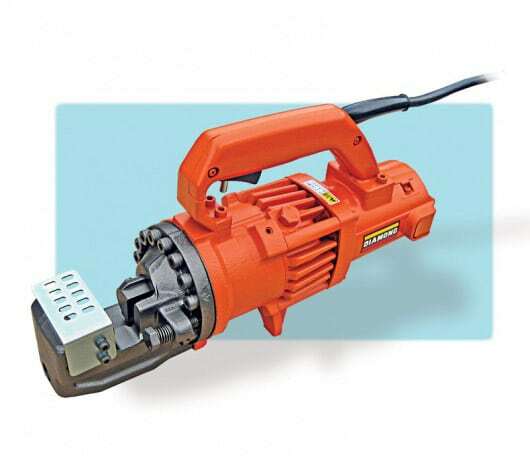 Each Cutting Edge Saw is warranted to be free of defects from workmanship and materials for the period of one year from the date of original purchase.